Mental health is a major issue that has been rising in the United States, and the nonprofit Community Human Services, recipient of the 2019 County School Boards Association’s “Excellence in Education Award,” seeks to help those who suffer from poor mental health in the Monterey Peninsula at an affordable cost. Each of these three areas has various other programs under each service. Through all of their programs, Community Human Services sees about 3,200 people a year from within the community. Even though youth mental health is worsening in the U.S., many people are not getting enough access to care to properly be treated, according to Mental Health American. Community Human Services aims to help give access to care to anyone that needs it. According to the California Department of Education, almost 1 in 6 high school students surveyed in the Monterey Peninsula Unified School District seriously considered suicide and about 1 in 3 suffered depression-related feelings, while 26 percent of 11th graders at Carmel High school reported experiencing chronic sadness or hopelessness in the last 12 months. Each patient starts off with an individual assessment to determine what their diagnosis is, and they then determine an individual plan for each person, whether that be individual sessions or group sessions. There are also aftercare plans so that when patients they leave, they have tools to keep up the progress that they made. Not all families are aware that there are treatments available. Fifty-six percent of Americans who had a mental health condition were not treated, according to the National Alliance on Mental Illness, and there is only one mental health professional per 1,000 individuals in the United States. McCrae is so invested in the issue because she knows how a mental condition can affect a family and the treatment they need in order to stay together. Brian Farley, one of three therapists at the Seaside Family Services Center, usually conducts about three or four therapy sessions every day, each about an hour long. However, when people come in during crisis they work until the person can leave safely. Patients can use either private pay or Medi-Cal to pay for the counseling at Community Human Services, explains McCrae. When using private pay, a sliding fee scale based on personal income is used to determine much they need to pay. It can go as low as $20 to the actual cost of services, which is about $140. In some cases, the fee can be waived if the patient is unable to pay. The Seaside Family Service Center does not only provide therapy though. They also host supervised visitations to help reconnect families with domestic violence and substance abuse problems at their 10 sites around the Monterey Peninsula. Community Human Services has numerous sites around the community. The Seaside Family Service Center is located at 1178 Broadway and can be reached at 831-394-4622. 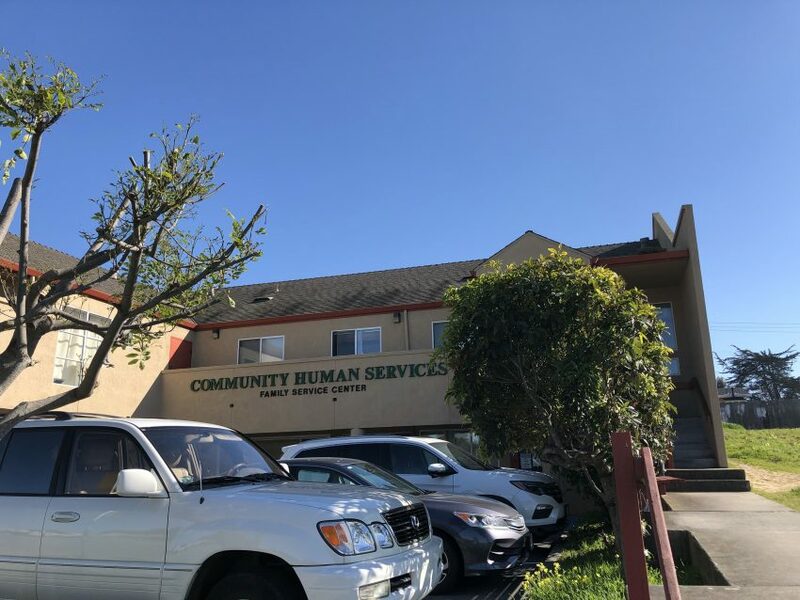 In addition, there is another Family Service Center located at 433 Salinas Street that can be reached at 831-757-7915.